Welcome to another fun challenge at Always Fun Challenge.. This is my card. 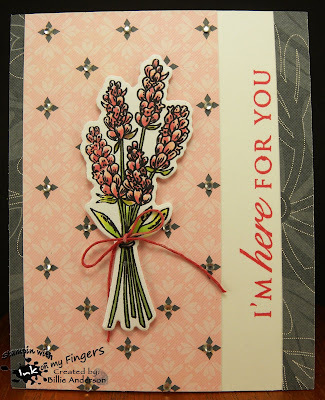 I started by looking though my Stampin up scraps and found this fun pink on one side and gray on the other. I cut a strip of pink and then two small strips.. I turned them over and added the thin one on the left of the pink and the larger piece on the right side of the card. 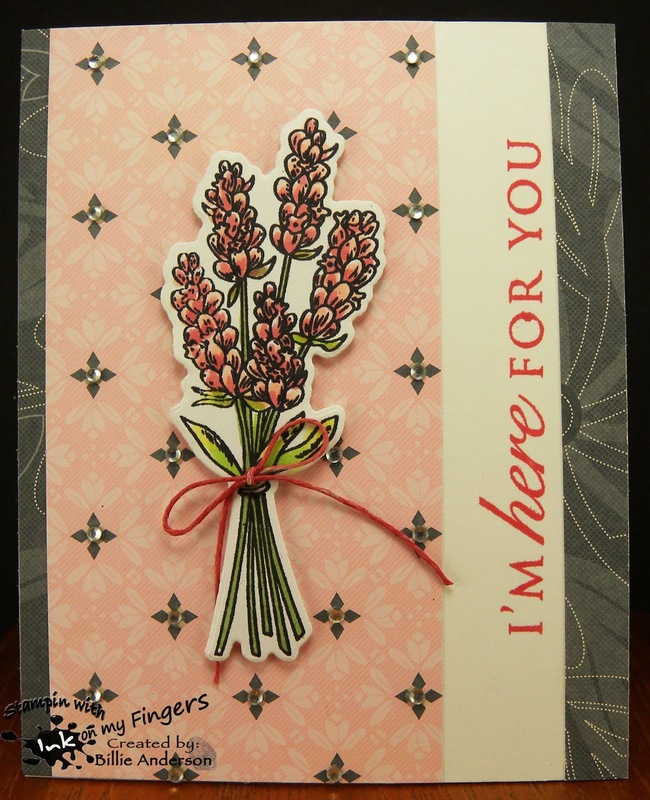 I used Stampin up pink ink and stamped the Paper trey sentiment in the white card base area. I then stamped the Tech. Tuesday flower and colored with copics and using the die cut it out. I added some foam tape on the back and added this to the card base. I took some twine and a pink copic pen and colored the twine and tied in a bow and added to the stem. I finished by adding some bling to the center of each gray design on the pink. Such a simple and pretty bouquet! Thanks for sharing at Jo's Scrap Shack! Gorgeous card Billie. Love the stamp.